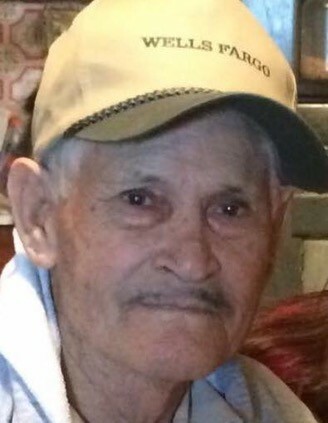 Mauro C Calderon, 84 of Idalou, peacefully passed away on Saturday, January 26, 2019. Mauro was born on January 15, 1935 to the late Antonio and Anita Calderon in Presidio Texas. He married Mae Garcia on March 3, 1958 in Lubbock, Texas. Mauro was a hard working family man that enjoyed watching baseball and football. He loved playing baseball in his younger years and playing bingo in his later years. He is preceded in death by his parents: two brothers and two sisters. Mauro is survived by his wife: Mae of Idalou, two sons; Manuel Calderon and wife Janet of Lubbock, Moses Calderon and wife Martha of Idalou, four daughters; Margie Halter and husband David of Bridgeport, Mary Ellen Calderon of Lubbock, Janie Rocha of Corpus Christi, Janet Calderon and Joseph Ramirez of Lubbock, fifteen grandchildren and eleven great grandchildren plus one on the way; three sisters Paula Chavez and Frances Longoria of Lubbock and Oralia Rodriguez of Idalou; one brother Antonio Calderon of San Antonio.